Pakistan's current generation of English-language novelists, born after the 1971 war and writing in the twenty-first century, must navigate between the ancient cultural history they have inherited and the relative youth of their country as a political construct. 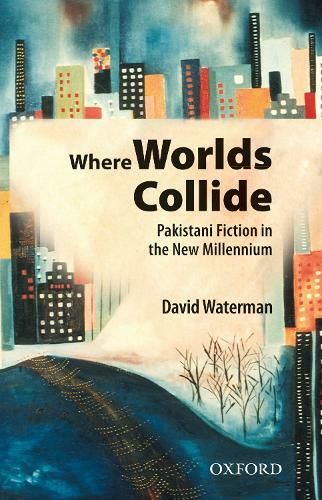 In this book, Dr David Waterman explores the works of seven writers of this generation, including both residents of Pakistan and authors from the diaspora, in order to examine the manner in which questions of history, culture, and identity arise from this process. Pakistan's history and its present moment have introduced a number of issues of urgent relevance that these writers explore in very practical terms: What does it mean to be a Pakistani now and what might it mean in the near future? How does one speak of past trauma without disrupting the present? What is the role for Islam to play in the governance of such a diverse country? How can we ensure the future of the boys and girls of this land, which is paradoxically both rich and poor? Where Worlds Collide is a survey of contemporary Pakistani writers and their efforts to trace the itinerary of Pakistan in the twenty-first century. The fictional portrayals of lives represented in the works of these authors take into account everyday issues, stories of individuals and their families, their joys and sorrows and fears, and place them in the context of the greater story of Pakistan.